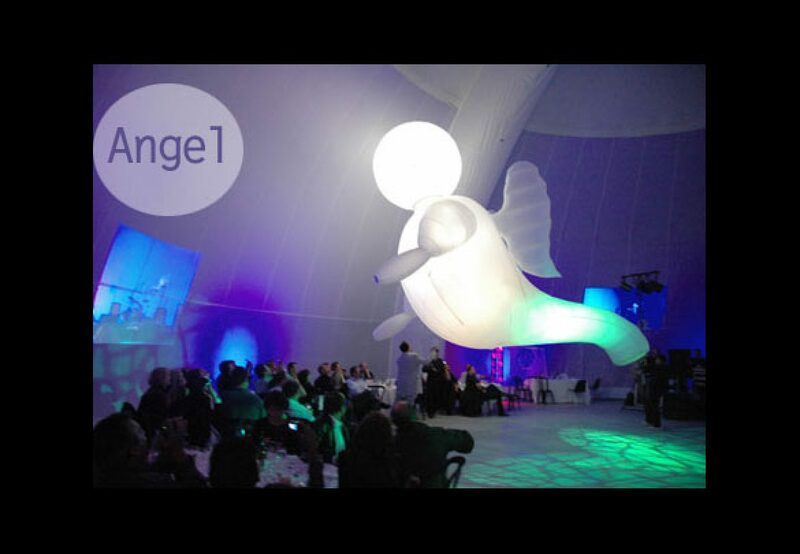 As an angel, a character filled with air and light l! This elegant, surprising and magical object look over your heads. Night walkabout with a giant figure, (approx. 7 m), air and light, manipulated by three puppeteers. Pure emotion!